When a nationally ranked music program sought to create a dynamic website which could increase student communication and enhance the marketing of upcoming events, they turned to the experts at Digital Strategy Associates. 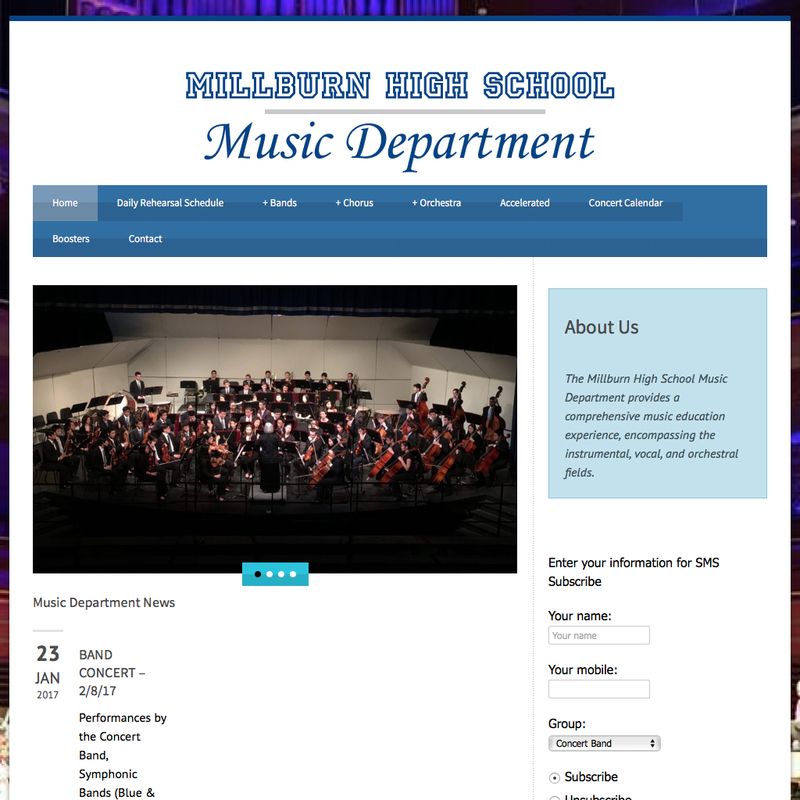 With a legacy of innovation which includes creating the first mobile app for a scholastic band program, Digital Strategy Associates created a new website for the MIllburn HS Music Department. The website includes the capability to send SMS/Text Message alerts to students to remind them of upcoming events. Digital Strategy Associates collaborated with department’s stakeholders to identify, develop, and implement a website design strategy that addresses their existing needs and future goals. The newly designed, responsive website, looks great across all devices and computers, including tablets and smartphones. With an easy to use content management system, staff can post news and announcements.